Techniques: 2 X 720 HP DEUTZ V16 DIESELS BOWTHRUSTER DAF DIESEL 3 PC. GENERATOR 2 PC. CENTRAL HEATING ON DIESEL AIRCON. Accommodation: 84 Double Cabins, each with Shower, Toilet and Basin. 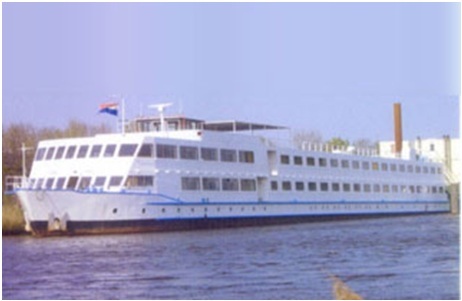 68 Cabins fitted with a big Window Lounge Restaurant (now divided in 3 spaces) galley 12 Crew Cabins.